"Don't Be Shy, Call the Fire Guy"
For nearly 10 years, The Fire Guy Inc. has been providing the highest quality in fire protection equipment, including fire extinguishers, fire sprinklers, fire alarms, emergency signage and much more. We offer service to commercial customers, and our abilities are backed by NAFED and NFPA standards. Let us make sure you’re safe! We carry and service many types of fire extinguishers and other fire safety products. We provide inspections & maintenance for safety products such as fire sprinklers, fire alarms, and back flows. We offer emergency light products as well as inspections. We offer consultations by appointment and always give you the benefit of tailored services. When a fire breaks out at your home or business, you need to have precautions in place to make sure everyone is safe and the situation is controlled. This means having an alarm or sprinkler system that will activate when it needs to or having the right type of fire extinguisher in Joliet, IL on-hand to put out the blaze. The Fire Guy Inc. is committed to making sure you’re always prepared in the event of a fire, with products and systems that are reliable and effective. We sell everything from fire extinguishers and emergency signage to lighting and more. What’s more, we service everything we sell and most things we don’t! Our ultimate goal is to leave you with the protection you need against fire. Our expertise is second to none when it comes to outfitting your facilities with the right products. We’ll help you identify and place proper fire extinguishers in Joliet, IL throughout your facilities. Need alarms or lighting tested? We can do that too! No matter what fire concerns you have or the size of your facilities, we’ll tailor our abilities around your safety. Count on us to inspect, test and service your products or sell you the supplies you need. In the event of a fire, you’ll have the peace of mind that comes from partnering with us. We’re associated with the National Association of Fire Equipment Distributors (NAFED) and National Fire Protection Association (NFPA) to ensure quality products and service. We offer a wide range of specialized equipment for commercial business properties throughout Northern Illinois. 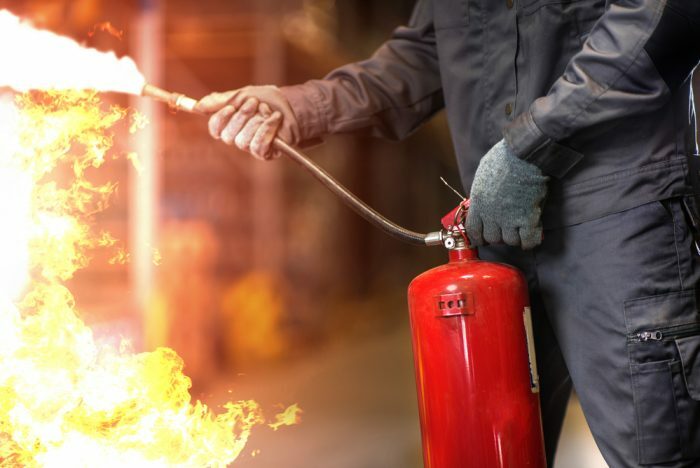 For more than a decade we’ve made sure extinguishers are properly installed and maintained, so you stay safe and your facilities remain up to code. Our capabilities extend to all major fire protection services, including backflow services, sprinkler installation, fire alarms and much more. For fire protection services of the highest caliber, choose The Fire Guy Inc. We’ll make sure all of your fire protection needs are handled and that you and your facilities are always safe.